I first met Zack and Lindsay for their engagement session and I knew we were going to get along well. We have the same classic style and they were so fun! Seriously, check out how they rocked their engagement session! I LOVE her classic style, and great minds must think alike because she used a gold wax seal on black on her invitations and menus, just like I use in my packaging. Working together on their wedding day must have just been met to be! I did have a problem with this wedding, though. 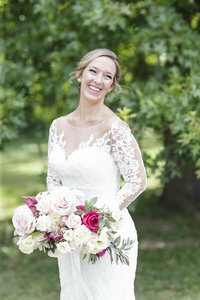 Gosh, I just couldn’t decide which images to show you all for their sneak peek. 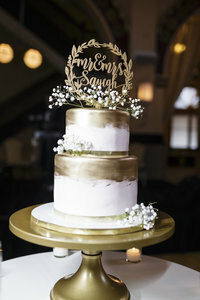 They were so great in front of the camera and their wedding, at Canal 337, which is one of our very favorite venues in Indianapolis, was so amazing, it was just so hard to pick a favorites, but I did my best and would love for you to take a look through a sample of Zack and Lindsay’s Indianapolis Wedding at Canal 337! At the beginning of Zack and Lindsay’s engagement they lived in Connecticut. So, Lindsay took a special trip with her mom and sister to New York City to go wedding dress shopping. They started at Kleinfeld Bridal. So fun! While they were there, they thought they had found the dress. However, after they left Kleinfeld, they visited the Pronovias flagship store, and the dress the had picked out at Kleinfeld Bridal could not compete to this Pronovias dress! Meanwhile, Austin was hanging out with the guys and getting pictures of Zack getting ready! So many buttons, but so worth it! …and her veil! Just wait until you see it all stretched out! The first look! Always such a special part of the wedding day! This bridal party was so fun! I told you that veil was AAAAHHH…mazing! We love the historic charm, industrial feel, and overall awesome vibe of the Canal 337 wedding venue! 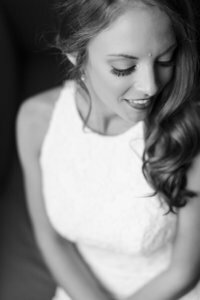 Thanks so much to all of the incredible wedding vendors who made Zack & Lindsay’s wedding at Canal 337 wonderful!